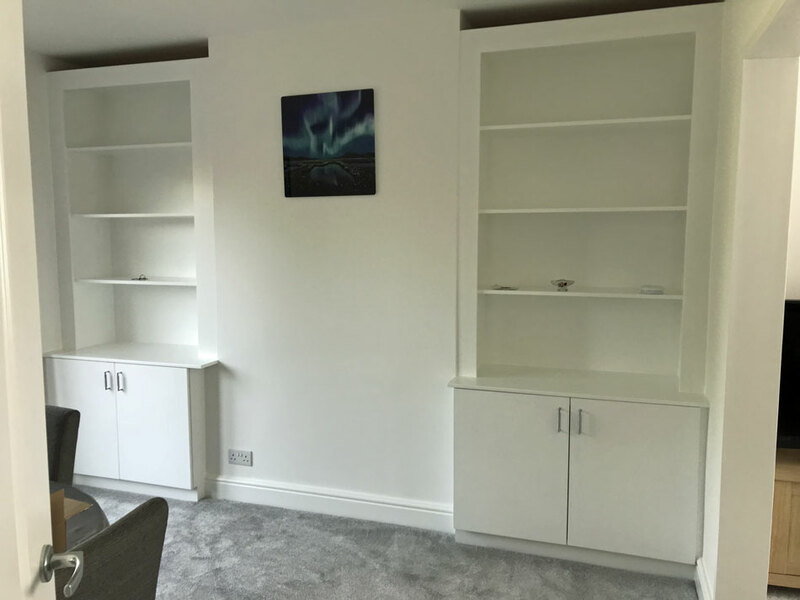 Fireplace, fitted wardrobes, fitted blinds, shelves. Change seal to cold smoke seal. Take door off + re-router. Installation of new composite front door. Changed 5 inside doors to fire check doors.